Participating in a sport can lead to additional wear on your body. If you play baseball, softball or other sport where there is a repetition of overhand throwing, it can cause wear to elbows and shoulders. An overuse injury happens gradually over time. Repeating the same motion several times and not giving the body the time to heal causes this injury. Participating in contact sports can also cause damage to your shoulder. Listed below are several common types of shoulder and elbow sports injuries. If you think you are suffering from any of these injuries, contact a sports medicine physician. There are many common injuries to the elbow that are caused by throwing. Flexor Tenditius is the inflammation and irritation of the flexor/pronator tendons on the inside of the elbow where they attach to the humerus bone. Athletes suffering from this injury will feel pain when they are throwing. An Ulnar Collateral Ligament injury can be as minor as inflammation, and as major as a tear of the ligament. Symptoms of this injury are a pain on the inside of the elbow and a decrease in throwing velocity. The protective cartilage of the olecranon is worn away, and growths called bone spurs can appear if an athlete is suffering from Valgus Extension Overload. Symptoms of this injury include swelling and pain where the bones connect. Stress fractures in athletes of throwing sports are likely to appear in the olecranon. Stress fractures happen when a muscle can no longer absorb shock, the overload in stress can cause cracks in bones. One last common elbow injury in athletes is when the ulnar nerve stretches. The nerve can stretch or even snap causing ulnar neuritis. Athletes suffering from ulnar neuritis will feel a tingling feeling like an electric shock running into their forearm. Other symptoms included a tingling or numb feeling in the arm. There are also many common shoulder injuries that can be the result of playing a throwing sport. 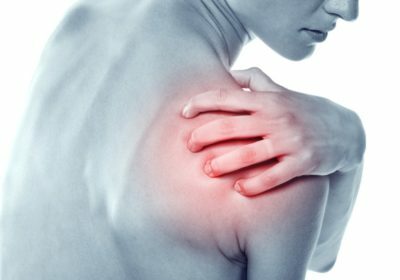 A tear of the ring of cartilage that surrounds the shoulder is called a slap tear. The tear occurs when repetitive motions happen. Athletes that suffer from this tear have decreased the range of motion in the shoulder and pain. Shoulder instability or a dislocated humerus occurs when muscles and tendons can no longer support the muscle joint. Dislocation causes bruises and swelling. Other symptoms include severe pain and lack of arm movement. Another common shoulder injury is a tear in the rotary cuff. The injury often occurs in overhand sports like tennis. The symptoms of this tear include pain in the shoulder at night or when the athlete makes certain movements. To help prevent the injuries listed above doctors recommend having time to rest after a game. It is also important to use proper technique when playing the sport to reduce injury. It is also important to pay attention to your body and go to a doctor straight away if the athlete feels reoccurring pain. « Does medicare provide hearing aids? What Makes Bulk Billing Dentist Safety a Greatest Possibility?